You know a book is really great when you can’t read it without paper and pencil in hand to jot down all those flashes of inspiration! This break I’ve read several books for teachers that have really resonated with me. For those of you still on break, I thought I would mention them. Even if you’re not on break, they are inspiring and well worth squeezing in time to read them! 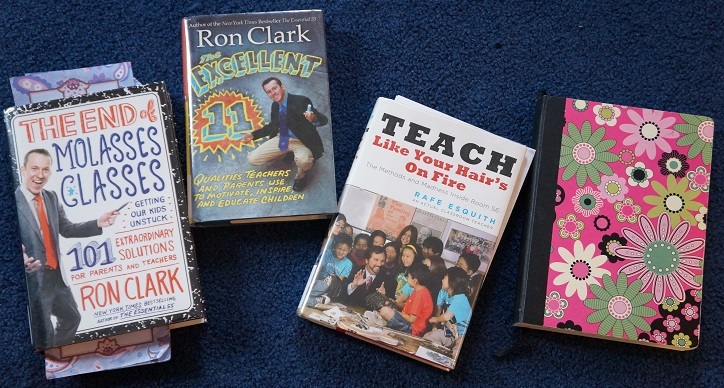 The enthusiasm and passion for teaching is absolutely contagious when you read Ron Clark’s books. I read The End of Molasses Classes and came away so excited and pumped up! I rushed to the library to check out another of his books, The Excellent 11. I’m now on to another inspiring book. This one is by Rafe Esquith, Teach Like Your Hair’s On Fire. I’ve pictured them below along with my beloved writing journal, but wasn’t willing to take out my book marks even for the photo! And even though I’m not in a traditional classroom I strive for many of the same qualities with the kids… to be patient, passionate, engaged, inspiring, prepared, and positive. To make learning magical, to add spark to everyday events. And I too need to remember to show appreciation for the kids’ efforts. The books had good reminders to instill the ideals of hard work, appreciation, gratitude, good manners and respect; to reward and recognize good character, determination and moments of compassion. Strive for excellence; take advantage of teachable moments and run with them! Rafe’s book had a lot of practical pointers (he’s a 5th grade teacher and my oldest is now in 5th grade) about math, writing, and more. These books urge teachers to make a positive impact — whew, the books themselves made a huge impact on me! I was definitely inspired to be a better educator. If you’re looking for good reading this break, I’d highly recommend these books! Do you have any other book recommendations? 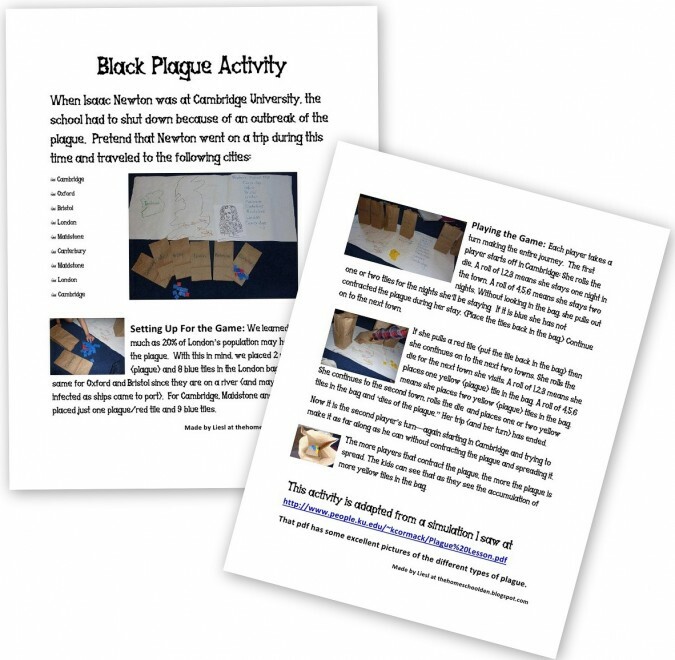 I’d love to hear from you over at my Homeschool Den Facebook page.